Of hope I have all reason to leave the living hell. no protection from the illusions my life did spin. Shed of me my ego’s shallow shell. Leave me basting in purgatory’s well. My frosted heart melts from the love of God’s sight. Wrapped in luminous light is this soul’s new flight. The breath of the lord is the wind that soars. For my spirit to live forever in light. The beauty of poetry is in the message to the reader…while it comes from the depth of heart and soul of the poet, it reaches the ears of others and resonates within them as they can and need to hear. Somewhere, within the world Divine. The foggy haze dissipates within your gaze. to see the light of day. that stands within your sight. Or it may be on the right. it illuminates the dark night. can vanish quickly in your sight. release the hold that ego bestowed. the barriers that block your way. See goodness where you once saw fear. Find love for the one who torments you so. Give up hate to let your heart grow. to build your life in a whole new way. to grow within the Divine. as the forest and streams. are places of solace within God’s Heart. etching a paradise where no one goes. there is a soulful place for God to play. Spirit sits and waits for you and I today. within the heart of man. This was first posted more than a year ago. As I have traveled these last five years I found myself treading the dried up river bed searching for the dessert so lush. That dessert so lush is always where Spirit is…The lushness and beauty of our human life is held within God’s love. I choose today to leave the desert to join God in the lush blessings of life. I choose to see all that is good…all that is God! 2. List 11 random facts about yourself. 3. 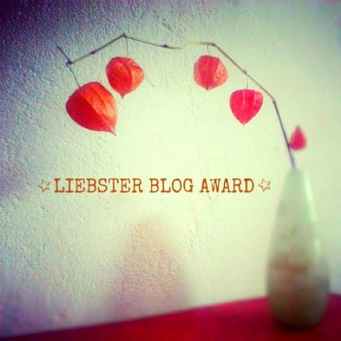 Nominate 11 other bloggers for the Liebster Award and list their blog sites. 4. Notify the bloggers of their award. 5. Ask the award winners 11 questions to answer when they accept their Liebster Award. 6. Answer the questions left for you by the blogger who gave you the award. I like to Thank Atirah Jewel at Lil Red Writing Hood, atirahjewel.wordpress.com for this award. I have followed her work since I started with my blog. I enjoy the diversity of her writing and the emotions she expresses. She is creative and inspiring. I feel very honored to receive this award. 1. I no longer know, “what is fact about me”: My life has been an evolving project. I accept the process as it is. 2. I am a very spiritual being. 5. The sunrise is my favorite time of day. It is inspiring and invigorating. 6. After many decades I have finally opened my heart and mind to the joy of living each day. 7. I chose each day to allow my spirit to lead and my ego to surrender to the greater good of the situation. 8. My mother turned 87 last week and I adore her as much if not more than I did as a child. 9. I have put into consciousness my desire to adopt my next dog sometime this coming fall. 10. It has been an honor to read the works and thoughts of so many wonderful writers and poets. I am continuously learning and growing through this incredible experience. 11. My heart is filled with gratitude for all who read my poems and visit my blog. This wonderful community has taken me around the world to meet and love people who I would never have met if it was not for blogging. Thank you for expanding my heart and world. 1. Why do you write? I write to express and to learn about the depth of my soul. 2. Where is the one place you wish you could live? I am happy where I am. What is most important is being with those I love and who love me. 4. What’s your writing process like? Good question. I get up at 0400 and write after my morning mediation. 5. Among your work, do you have favorite poem? If so which one and why? Yes, my favorite poem is Under the Willow, it is a poem I wrote after mediation one morning and I posted it last year the day after Mother’s day to honor all Mothers who weep for a lost child. I like to write about the transition at death. I think because I have been at the death of many people (as a nurse) and treasure the spiritual transition and recognize my role in comforting the human emotions left behind. 6. What made you start writing? I first started writing as a teenager it was my creative outlet. 7. What is your favorite topic to write about? Nature and anything spiritual. 8. Who is your favorite poet or author? As a teenager I loved Edgar Allen Poe and as a woman I fell in love with Kahlil Gibran a poet my mother shared her love of poetry with me. Over the last few years I have been intrigued by Rumi and explore old book stores to find vintage poets and new contemporary poets. Sometimes I just search amazon to find someone new. 10. Is there someone famous that you admire? If so, who? Malala Yousafzai, she has inspired me to be strong and focused. She is an incredibly mature and Divine Spirit that is a continuous manifestation of God’s goodness. On October 25th, 2012 I posted a poem that I wrote in her honor. I pray everyday for her to create the wonderful change that God leads her to make. Please check back in my archives to read the poem. While receiving this award is an honor it is also a reminder I need to open myself up to other poets and writers on wordpress. The work out there is impressive and I have been missing a lot. Each week my goal is to follow one – two new poet/writer/photographer/blogger. This will help me grow within the wordpress community. In many ways I have been a closet blogger/poet as I post and run… I often hit the like button but rush off without commenting. I read other’s post on my smart phone while stuck in traffic or waiting for the high school tennis match to end. So the like button is a wonderful relief. I would like to share this award with the following poets and writers. Each has helped me think outside my box, they push me out of my comfort zone and challenges me to write and live my truth. What a great gift to be given by other…most I will never met in my life. So thank you and many blessings to all. http://tornadoday.wordpress.com Bobbie is a very inspiring poet. I am most impressed by the easy of the flow of words as she creates a picture and tugs at my emotions. I love the way her words are light in nature yet intensely deep in meaning. I aspire to write and wrap such images in my own work. http://jamesfielden.com – So many times I read or listen to James post I know it is the words I needed to hear. The spiritual meaning, the guidance and the thoughts are as if he took them right from my thoughts and prayers. James has been a constant beckon of light during my journey. http://poetscornerblog.wordpress – This poetry corner is very diverse with many great poets. Harry has done a wonderful job of creating a great site for poets to post their work. Many I may never had a chance to read if they were not posted here. I have many favorites on this site. http://myprettypics.wordpress.com – Dawn has a great site that captures an area I love. Her photos of Philadelphia PA, my home town, capture my attention every time. I love revisiting the old dilapidated churches and the wonderful historic homes. http://dcardiff.wordpress.com – Dennis is somewhat new to the blogging world he has a much different blog than the ones I normally follow. Dennis is building a platform for the homeless. When I was in my 30s as a nurse practitioner I worked with children that were homeless, or in very difficult social situations, crack cocaine addicted, teen mom’s, sexually and physically abused. Now in my 50’s many years past, I have allowed myself to not see what Dennis sees. So I thank Dennis for reminding me of my blessings and that I can still send my love and support without directly being involved. There are many other bloggers that inspire me who have already received this award so I will mention them here as inspiring and encouraging and have been very influential in my continuing with my blog. That guides a soul to the light. A light… A light…ignites the dark night. Finds the signs in life’s rhythms and rhyme’s. A connection…a word…a flower…or a twinkling star. A message from God that your long night ends. 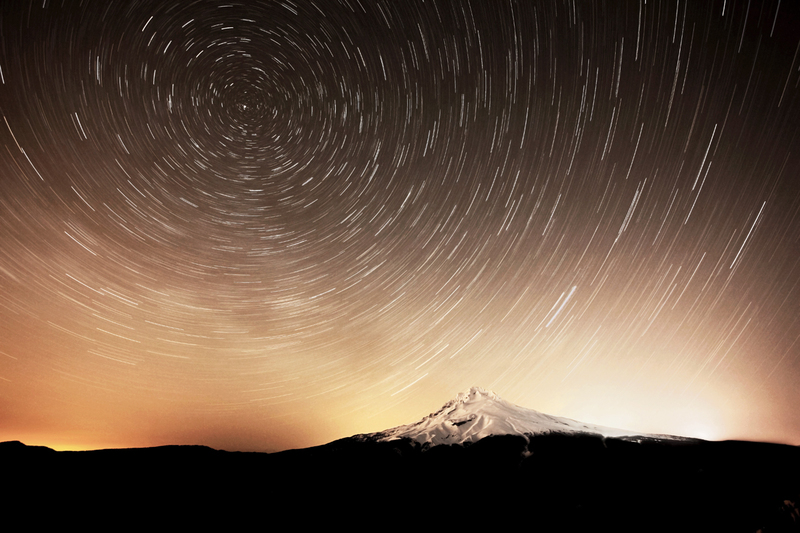 A light…A light…ignites the sky. With a fiery passion that engulfs the human sigh. Yesterday I posted two poems from March 2012. They represent my love affair with God that has moved me from difficulties in my life, to a place of new beginnings as I re-create my life within the light of God. Today I share a new poem that represents my moving forward in Spirits world of light and knowing that all good is mine to claim as I move forward and release the past within the human sigh engulfed by the passion of God. In the spiritual world there are many signs to help us move forward. This morning when I checked my blog stats I saw 4,444 views. So I made a mental note to figure out the meaning of this number. Then I went to facebook to see what friends and family are posting. A friend posted a blog on Angels. While we have not spoken in years her post was there for me. It talked about seeing fours as a sign that you are surrounded by many Angels. What a wonderful sign to have on a day of closing the past and opening the future. Over the past few weeks I felt the uncertainty of the future, today I feel great inner peace and calm that all is good. We are all embraced within the spiritual web and God is always communicating to us. It is up to us to see and hear the Divine message.